Charlotte Casiraghi is pregnant with Dimitri Rassam's baby? As reported by the Spanish HOLA!, Charlotte Casiraghi has started affair with the son of the famous French actress Carole Bouquet - producer Dimitri Rassam, who had previously been married to the Russian model Masha Novoselova. Model Masha Novoselova was compared with Natalia Vodianova. A girl from Tula was going to become an accoun tant, when she was noticed by Western agents in the model school, where her mother took her to correct her posture. Masha went to Paris and made a successful career: she starred for covers of many leading magazines - from Vouge to Elle. And she also happily married - in 2010 she married the son of the star of French cinema Carole Bouquet, famous Fren ch producer Dimitri Rassam, While Dimitri produced the movie ("Escobar: Paradise Lost", "Mune, le gardien de la lune", the cartoon "The Little Prince"), Masha raised her daughter Dasha (now she is 6 years old) and continued participating in photo sessions. Carole Bouquet called her Russian sister-in-law "angel", and Dasha shared in an interview that a mother-in-law likes her semolina pudding. Masha Novoselova starred for the covers of all the famous glossy magazines. The news that Dimitri Rassam left the family appeared in the section of the secular chronicles of European newspapers. The other day the exclusive Bal de la Rose also known as the Rose Ball, took place in Monte Carlo. But all eyes were focused on the heiress of Grimaldi's house Charlotte Casiraghi. 30-year-old beauty, daughter of Princess Caroline of Monaco and granddaughter of Hollywood star Grace Kelly, became famous for her high-profile affairs. This evening, Charlotte was alone, but this did not stop journalists spreading rumors about the new beloved of heiress - Dimitri Rassam. Paparazzi could only wait a couple near the apartment of Casiraghi in Paris, find out the details - and hot reports immediately appeared on the pages of the tabloids. 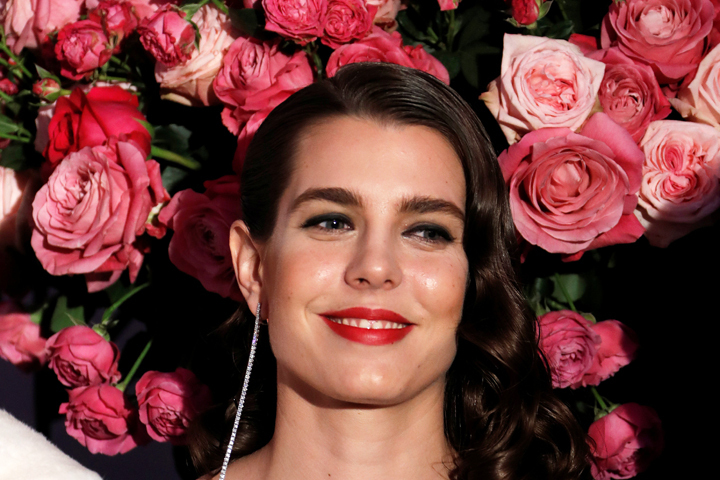 Charlotte Casiraghi at the recent Rose Ball in Monaco. It turns out that Dimitri and Charlotte have been dating for several months. According to People.com, they met at a social dinner - they were brought down by friends. The couple has a lot in common - both have graduated from the Sorbonne, however, never met at the university. According to sources, Rassam left his wife and daughter and already settled in the Paris apartment of Charlotte. It is not known whether he filed for divorce, and how Masha feels now.The last time the couple went out together in February 2016 - Masha and Dimitri appeared at the presentation of the Cesar film award. 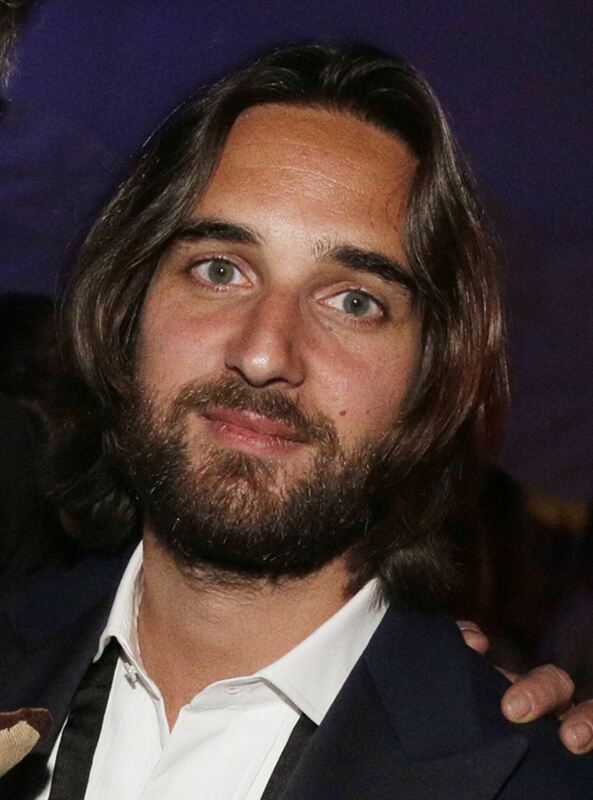 Charlotte has a son Rafael: in 2013, Caseragi gave birth to a boy from the French actor Gad Elmaleh ("Midnight in Paris"), with whom she lived for four years in a civil marriage. In the summer of last year, Elmaleh admitted to journalists that he and Charlotte had parted ways. Although Charlotte Casiraghi is not officially a princess, she is often called the uncrowned princess of Monaco. She is the eighth in line for the throne. Charlotte leads an active social life and is engaged in a charity fund named after her grandmother Grace Kelly. She, like Masha, poses for glossy magazines and advertising campaigns - for example, she was the face of Gucci. She is seriously engaged in sports and participates in international competitions. Her rival Sofia Abramovich - younger daughter of Roman Abramovich is also passionately carried away by horses and has repeatedly won awards in competitions. Charlotte - the eighth in line for the throne of the Principality of Monaco. Carole Bouquet, the star of French cinema, starring in the film of Luis Buñuel "That Obscure Object of Desire ," was engaged to Gerard Depardieu for several years. In 1982, Carole Bouquet gave birth to a son from the producer Jean-Pierre Rassam and named him the Russian name Dimitri. And now Bouquet is also the grandmother of the Russian granddaughter Dasha. Actress Carole Bouquet is the grandmother of Russian granddaughter Dasha.